Summer isn’t nearly ending… at least not for adults. And while the kids pack up their backpacks and head off to school, here at Paws Up it’s a time of culinary adventure. Educate yourself with exquisite tastes at “The Last Best Food And Wine Festival” or join the “Upper Crust” pie camp featuring Kate McDermott. 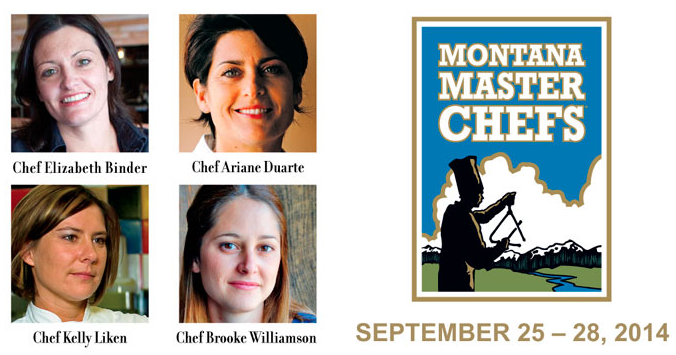 This summer’s Montana Master Chefs will be held September 25-28. Our featured chefs this year are Bravo TV’s Top Chefs: Chef Kelly Liken, Chef Brooke Williamson, Chef Ariane Duarte and Chef Elizabeth Binder. Witness the chefs in action during our annual ‘Top Chef Cook Off Challenge’ scheduled on Saturday! The weekend will be one of wining and dining, with featured wineries including Grgich Hills Estate, Merry Edwards Winery and Sokol Blosser Winery. Executive Chef Ben Jones will be assisted by the featured chefs in creating culinary scenery to rival the vistas of “The Last Best Place”. 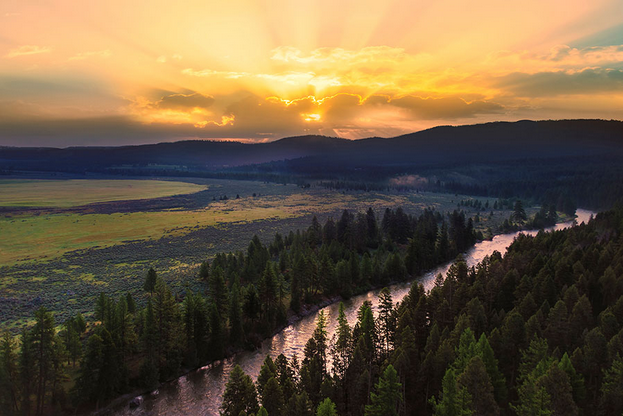 Friday, Saturday and Sunday you’ll find yourself exploring our 37,000 acres of Montana land through wilderness and ranch adventures with chefs and featured participants. Choose from horseback riding, cattle drive ($100 additional charge), fly-fishing (half day – Montana fishing license additional), sporting clays, rappelling, ATV tour, river float, archery, or a spa treatment. Hot air balloon rides and helicopter tours are also available at an additional charge. 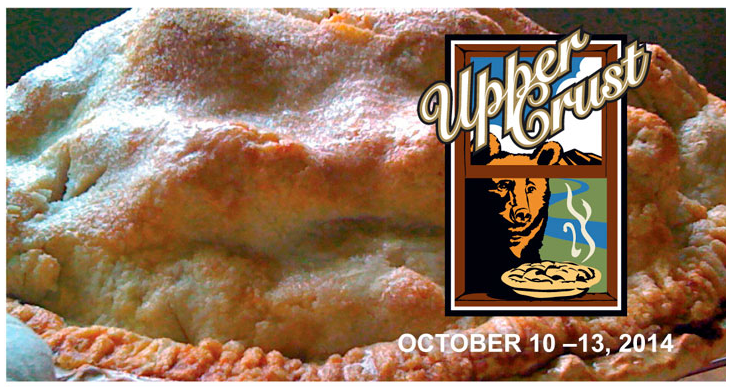 Fast forward to October 10-13 and The Resort at Paws Up will be hosting the Upper Crust camp, a sophisticated pie camp featuring Kate McDermott. By day, experience pie making and baking with Kate, wilderness adventures, and food photography lessons from New York Times photographer, Andrew Scrivani. By night, enjoy cuisine from Paws Up’s Executive Chef and Bravo Top Chef Robin Leventhal paired with exquisite wine, followed by complete relaxation in a luxury vacation home. It’s an event that promises to be both a learning vacation and a nostalgic experience of good old-fashioned American tastes. Upper Crust at Paws Up has earned a feature in New York Times and is stirring up excitement for pie bakers and pie eaters alike. Under Kate McDermott you’ll learn to bake unrivaled Huckleberry pie, made with fresh Huckleberries from the resort’s hills. Then there are the savory game pot pies destined to add flair to your homemade dinners. The event has our signature Paws Up style, meaning plenty of wilderness and ranch adventures, as well as a Food Photography Workshop. New York Times food photographer, Andrew Scrivani, will lead the photography workshop and will also be our “roving instructor” during Kate McDermott’s workshops to help guests document the art of pie creation. And, with the kids back in school, it’s prime time for summer romance! Take a look at our Romantic Vacation Packages to start considering your couple’s getaway. Find yourself beneath the “Big Sky” in either a private vacation home or luxury tent. Couples staying at Paws Up can enjoy some fire & fondue for two and/or try the sunset horse-drawn wagon or sleigh ride. All after a couples massage, of course. This is summer wilderness on a silver platter. Served with the freshest ingredients and paired with the finest wines. Add dynamic to your next vacation! Outdoors in our 37,000 acres at Paws Up means a range of activities that can leave the family exhausted long before the options are. We’ve got you covered no matter the adventure you’re seeking, and that extends to our accommodations as well! The Resort at Paws Up can be two vacations in one by combining the ease of living through indoor luxury with roughing-it-like-royalty glamping. Every feature of Paws Up pays tribute the rustic wilderness of “The Last Best Place” that is Montana without losing touch with your favorite creature comforts. Your private luxury vacation home is cozy with the best of modern amenities. Campgrounds bring a whole new interpretation to the Montana ‘Dude Ranch’ with their own camp butlers and chefs. You and yours can get the most out of your next vacation by experiencing both: starting in a home-away-from-home and then glamour camping beneath the ‘Big Sky’. When choosing your vacation home we take into account your group size and vacation type. Extended family, reunion, or group get-together? 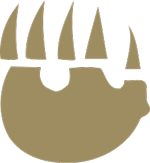 We recommend our expansive Wilderness Estates. For smaller families or couples looking for privacy, perhaps Big Timber Homes or Meadow Homes are your ideal for isolated peace. Need more room without being broken up? For larger groups or company retreats, the historic Morris Ranch House or Blackfoot Lodge can cater to your spacious needs while also providing a true Montana experience. Luxury Homes at glance offer 2-4 bedrooms inside each home to accommodate up to 4-8 guests each. Majestic views, porches with six-person hot tubs, chef quality kitchens, luxury bed and baths, access to the wi-fi and satellite TV (should you choose it), complimentary transportation – all of these and more are made available to our vacation home guests. Both the Morris Ranch House and Blackfoot Lodge offer a private luxury tent in their backyard. Selected Big Timber and Wilderness Estate homes offer this unique feature as well! Outfitted with lighting, a set of comfy beds, lounge furniture, toys and games, the luxury tents add a perfect adventure for kids and adults alike. Our permanent tents set you comfortably in the center of nature and beneath truly stunning nighttime views. In fact, you may find that you’d like to spend the daytime in our safari-styled tents as well. Our ‘one resort two vacations’ option gives one week of Paws Up excitement with 4 days in a luxury home and 3 days glamping at our luxury camps. The variety enriches vacation memories, which last long after you leave the ranch. A camp butler attends to your every need and the chef creates high quality food with the freshest ingredients transformed through rustic cuisine style. Roast s’mores and sip wine beneath the ‘Big Sky’. The Resort at Paws Up is Montana’s premiere glamping site – enjoy fine linens, The Last Best Bed®, chic furnishings, art adorned walls, electricity, cooling fan and heat. Not to mention the private master bathrooms with rain shower, jetted tub, heated floors and indulgent organic spa products! And what’s not to rave about? Lindo Michoacan has been rated #1 in Las Vegas for Mexican Restaurants. Their top chefs will be bringing their award winning recipes to The Resort at Paws Up this month. Javier Barajas Sr., Javier Barajas Jr. and Rigoberto Gonzalez will collaborate with our Executive Chef Ben Jones and his culinary team, creating traditional Michoacan tastes with Montana’s freshest agricultural resources. Javier Barajas is the original owner of Lindo Michoacan. He learned to cook under Mother Superior, Sister Anita, while studying in the seminary at Michoacan. Javier took an interest in cooking early on, eager to help in the kitchen and was soon trusted with food preparation. His interest has translated into acclaimed skill. Javier’s passion has become his family’s passion inside the kitchens of Linda Michoacan in Mexico. Beautiful Michoacan – “Land of Lakes and Fishermen” Birthplace of Javier. Michoacan is widely known for its rich and varied culture and most notably for its unique art and cuisine. A state with abundant natural resources. Michoacan is one of Mexico’s main producers of agricultural products. The Resort at Paws Up will be celebrating the influence of Mexican cuisine in the west during this event on July 22. Rich tastes, unique spices and herbs, traditional dishes and historic value have come together for one day. In the days of the cowboys Mexico carried a lot of influence in American culture, as it continues to do today. Early ranches, or “rancheros”, have their root in what was formerly property of Mexico. Longhorn cattle, brought in from European immigrants, were kept on an open range and looked after by cowboys called vaqueros. Wide territory claims were given to larger livestocks. It wasn’t until around 1850 that beef became popular, raising profit for ranchers and demand for cattle. Ranching was brought further north as beef became popularized. Even the upper regions of the West were brought into cowboy culture, eventually reaching Greenough Montana. The Resort at Paws Up is proud to carry on the traditions from the 19th century. In many ways Mexico introduced beef into the dishes tasted and adopted by ranchers in the region. Join us for our tribute to this culture within cowboy culture. To accompany food from Lindo Michoacan’s chefs will be Salsa Loca – a Latin-jazz band based in Missoula, Montana. Salsa Loca specializes in a range of Latin and Afro-Cuban styles and they’ll be featuring a sizzling hot horn section and virtuoso Latin percussionists. All in all July 22nd at Paws Up is shaping up to be an exciting celebration! Vamanos! Warm days at Paws Up magnificently showcase our 37,000 acres of seamless Montana landscape. A stroll around The Ranch, The Village, Spa Town, Blackfoot river, or right outside your very own private rental or luxury safari-inspired tent will bring you in direct contact with unrivaled vistas. Our photo gallery captures the essence of these views, but the empowering peace of breathing in boundless pine-rich air and being within such a picturesque landscape can only be experienced. Summer is here and the thrill of it shows in every aspect of Paws Up. The grass is definitely greener. This time of year nature doesn’t hold back and neither should you. Blackfoot river is rumbling it’s challenge to rafting enthusiasts. Paws Up offers rafts and inflatable canoes to those answering the challenge, and our expert guides know the best spots for all levels of skill to show you and your team the best rafting through some of the most inspiring landscape within Montana. Other water fun can be found on a personal water craft or powerboat while tubing or wakeboarding. For some calmer water activities try the water trampoline, paddle boats and sea kayaks. Beneath the same pine dotted hills and, in gentler crooks of the river, enjoy a leisurely fly fishing trip. Not wanting to get wet? Experience this summer on horseback. Trails wind throughout 37,000 acres of Montana beauty and they cater to hiking as well. Many trails can be traveled by ATV and there’s even a Go-Kart track in our western reaches – Greenough 500. Still not satisfied? View the resort and more from above via Hot Air Balloon. Then there’s also archery, rappelling, geocaching, sporting clays and so much more. For those of you who were unable to make it to the Montana Master Grillers event, don’t dismay. The same spectacular local produce is incorporated into our classic and sophisticated Paws Up menu. Fine wine, whiskey, bourbon and specialty beer constantly fills our cellars. Find huckleberries picked from the slopes of surrounding mountains in your morning selection and in the evening the choice of fresh Rocky Mountain Trout. Our chef draws from the agricultural wealth of the west to bring you a refined rustic ranch cuisine. Paws Up caters to vegetarian and vegan appetites as well, with signature dishes to choose from. Time spent in the natural ambiance of “big sky” country, paired with the best amenities and the summertime breeze, helps to clear the mind after the weight of modern congestion. It’s a luxury vacation meant to be less about money and more about well-being. Activities and visits to Spa Town fuse together to both excite and ease the mind, filtering away the ‘noise’ accumulated in the routine of tech life. This year, don’t cheat yourself out of unforgettable experiences. 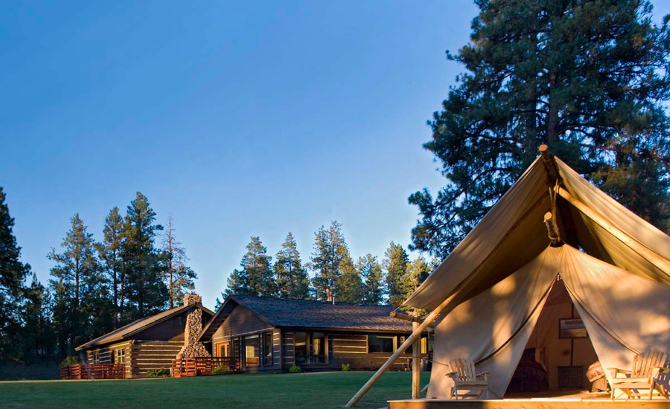 The Resort at Paws Up provides everything from private accommodations to friendly and detail-orientated staff. Spa Town and the Fitness Cabin compliment the active and peaceful lifestyle with relaxation treatments, yoga, yogalates and fitness equipment. For a challenge try our Grizzlyman fitness trail – a one-mile course with 12 natural equipment stations for unique challenges including climbing, balancing, swinging and more. 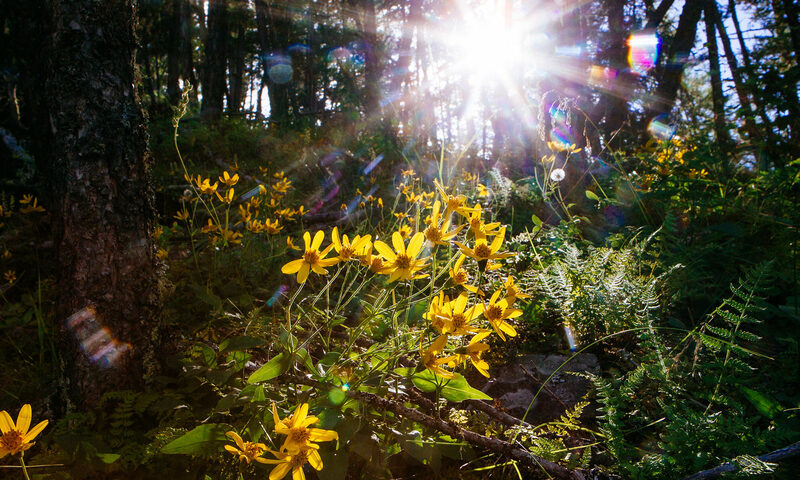 For any level of interaction with nature, The Resort at Paws Up has you covered. Summer is here, where are you?